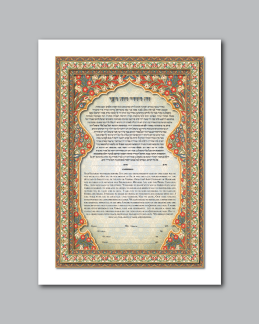 The inspiration for the “Desert Bloom” ketubah originates from sights, sounds, crafts and textiles of the Middle East. 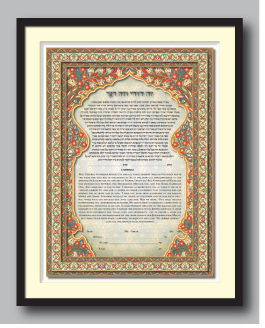 Vibrant crimson and white flowers surround the Moorish window in the center of the ketubah, as well as on the outside border. 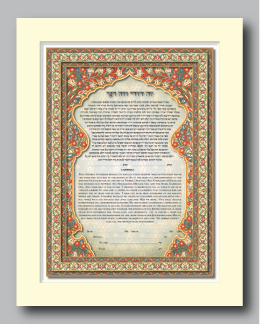 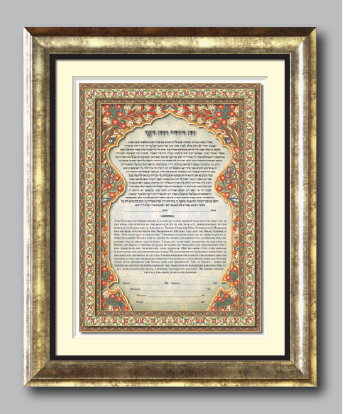 Behind the text of this ketubah, is the repeating pattern of a 6 pointed flower, or flower of life. 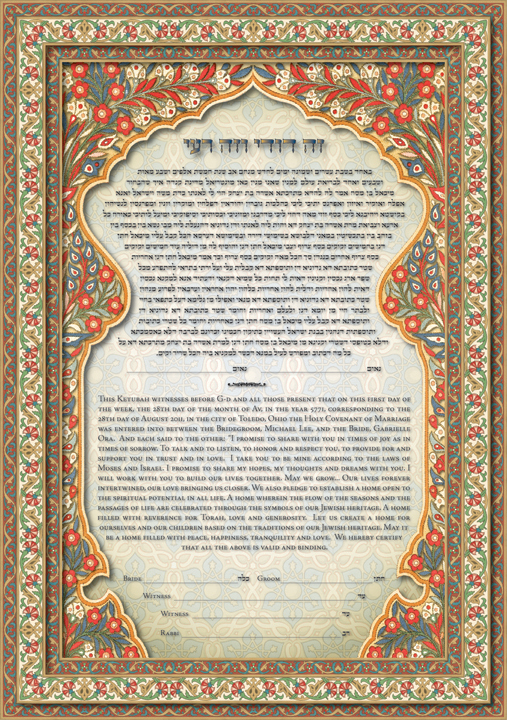 At the top of the ketubah are the words that translate to “This is my beloved, this is my friend”.